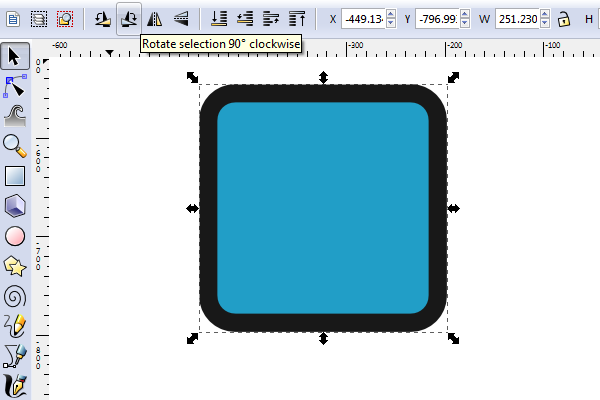 If you’re just starting out in Inkscape, you may be wondering how to rotate in Inkscape. No need to worry, because we’ll be going over 3 different ways to rotate objects in Inkscape! 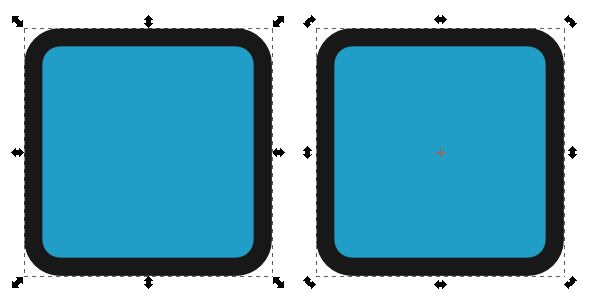 Below, the square on the left has resize handles and the square on the right has rotate/skew handles. To bring up the rotate handles, simply click on an object, and then click again (do not double-click). Now just grab a rotation handle and drag! Also, you can hold Control to snap the angle or use the ‘[‘ and ‘]’ keys. Another useful way to quickly rotate is to use the 90° buttons on the Selection tool toolbar. But the most precise and controlled way to rotate is to head up to Object > Transform. 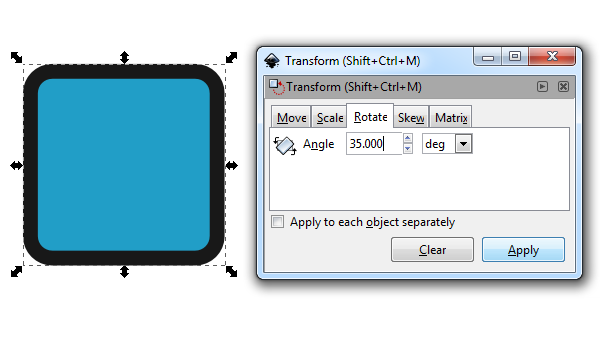 This useful dialog box lets you type down specific angles in which to rotate – precise up to 3 decimal points! If you want to get super mathematical, you can even switch from Degrees to Radians. There we have it – three different ways to rotate stuff in Inkscape! Hopefully you’ve found these little tips useful on how to rotate in Inkscape, so go ahead and give it a try! Thanks for reading.